Our team does scientific technical support for a medium-sized biotech company. It is not too hard to find people with reasonable science experience, but it challenging to find scientists with good communication and troubleshooting skills. 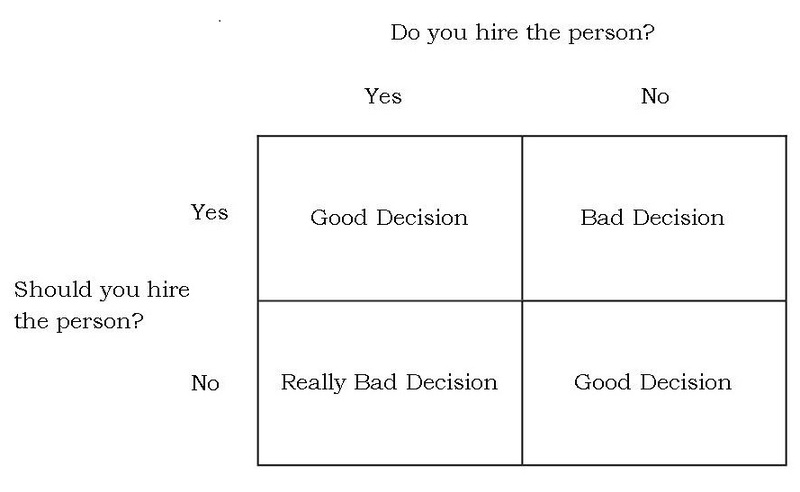 The easy decisions are when the whole team is unanimous that the person is a good fit. 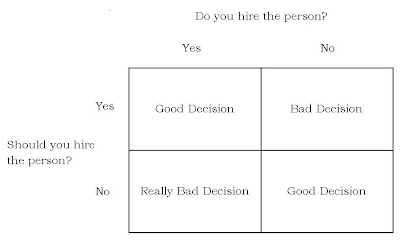 When the opinions are split, we have to consider how adding the person will affect the dynamics of the team. Of course, being short-handed also affects the dynamics of the team in a negative way. My leaning is to value attitude and people skills above technical experience. I can teach someone how to troubleshoot a PCR reaction much easier than I can teach how to politely pursuade a confused researcher to run controls. Hi Lynn, Good to hear from you.